Caroline works at City Gate Ministries, a non-profit in Washington, DC and wanted to know how to set up budgets to keep track of spending against her grants. However, the budgets aren’t at the “grant” level, but rather by category of spending underneath each grant. For example, within a grant, there is a budgeted amount for office supplies, another budget for computer supplies, and so on. That is, there is a separate budget for each G/L Account within each Cost Center. So if your budgets are at the Cost Center level (i.e. regardless of the type of spending), then you should be using the [Budgets] folder/tab. However, if you want to track budgets by G/L Account within each Cost Center, then use the [Matching G/L Accounts/Budgets] Tab instead, where you will be able to enter separate budget amounts for each account code. 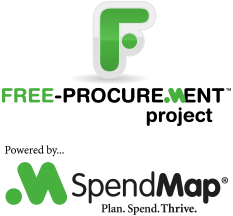 Also please note that SpendMap supports both “time-based” budgets (e.g. monthly, yearly, quarterly, etc.) or, if your budgets are not specific to a time period, you can specify “overall” budgets that span all time. For example, most people who track departmental budgets would use time-based budgets (e.g. the Marketing Department can spend a certain amount each month), whereas it’s very common to use “overall” budgets for things like projects, grants, etc., where the spending is not locked to a specific date range (e.g. a project could last 5 years). For more information, please see the subsection called “About cost center budgets” at the top of this section of the Online Help..